Kudos to our wonderful team who completed work on a new glass-walled Sanctuary for Malibu Presbyterian Church. ABC7 visited the church on Sunday, Jan. 27, as they celebrated their very first worship service in their new Sanctuary. On Sunday, Jan. 27, hundreds of Malibu Presbyterian Church members joined together for the first service in their new sanctuary. 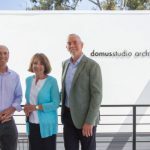 Designed by San Diego-based domusstudio architecture, the 8,000 square-foot church replaces the original structure destroyed when the Canyon Fire roared through Malibu on Oct. 21, 2007. Built on the hillside above the Malibu coastline, the new glass-walled house of worship is located at 3324 Malibu Canyon Road. While members and church leaders stayed together, first in borrowed space and then in temporary buildings on the site, the new church has been a long time coming. “As I stood in the completed sanctuary, taking in the views and thinking about what people would say when they stepped inside for the first time, it struck me that this process has been all about renewal – not just of a building, but also of faith,” said Lew Dominy, principal at domusstudio. The church’s steel beam cross, which stands on the chancel as a symbol of faith, was salvaged from the fire and incorporated in the new sanctuary. Otherwise, the physical structure was completely wiped out by the fire, leaving the church and architect with a big task at hand. 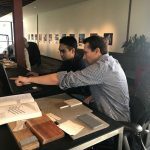 The design process took four years, beginning with meetings with church leaders and members to come up with plans that captured their desire for a memorable place to worship. 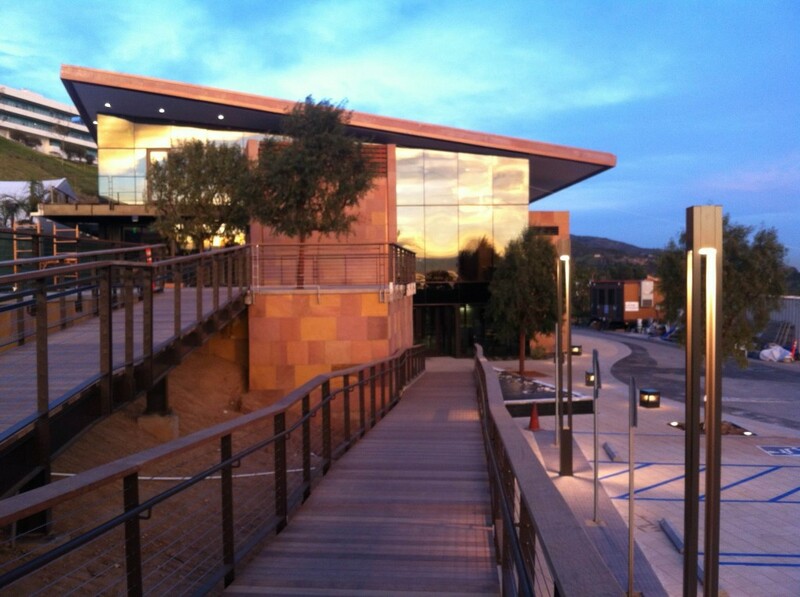 Two-hour fire resistant, stone-clad exterior walls, a single-sloped copper roof and non-combustible materials throughout helped meet the fire requirements, he explained. Meanwhile, they used tinted laminated glass, high-efficiency lighting and mechanical systems to improve energy efficiency and reduce the structure’s carbon footprint. 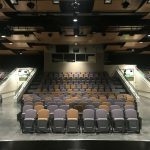 Theater seating which wraps around the curved chancel will create a sense of community; a new balcony offers a more relaxed worship experience; and a cutting edge video wall and sound system enhance the church’s contemporary worship style, noted Brien. The sanctuary is only the first step in restoring Malibu Presbyterian Church. Construction on the 9,000 square-foot administrative offices and preschool building will begin as soon as the temporary sprung structures are removed this week. Future plans for a Community Center open to all Malibu residents is also in the planning stages.